Enterprise resource planning (ERP) is a software category that includes an array of business applications that includes human resources and finance. Workday is a vendor at the center of a new generation of ERP. My colleague Robert Kugel recently covered that company’s advances in finance using cloud computing to operate its platform. And I recently attended Workday’s technology analyst summit, where I got a deeper view of the technology under its applications and its efforts to perfect its processing potential. The company’s platform can support a broad range of applications, and it is advancing its efforts in analytics, collaboration and business planning. Today, however, only Workday itself is allowed to build applications on the platform, a situation that contrasts with many other ERP providers that make theirs available to third-party software developers and consultants. Stibo Systems has been providing product information management (PIM) software for decades. Its work has helped many organizations worldwide take control of their product information by developing a master definition that can be published acrossmany channels from Web to digital to print. 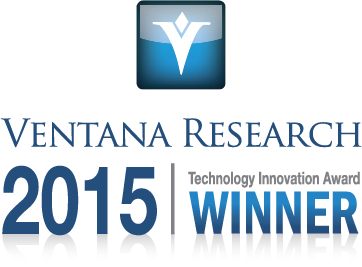 We recognized its work with customers Delta Faucet and Masco Corp. in our 2015 Ventana Research Leadership Award in Information Management. In 2014 Stibo Systems customer Brady Corp. won a similar award for Information Optimization. 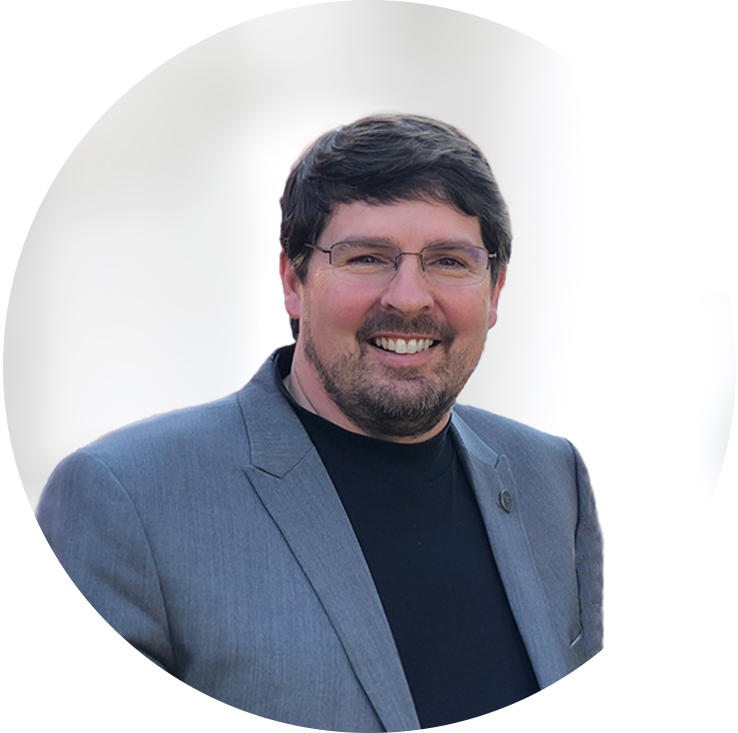 I have made it clear that in our view, when it comes to use all kinds of product content and data in business processes, product information management trumps master data management. Delivering value to business with PIM is much different than managing data infrastructure with MDM. There has been much angst in varying industry analyst views on this market segment. We analyze and rate vendors more rigorously than analyst firms that look at them only through an IT lens. Our methodology and framework put business first and IT second, and that shapes how we score vendors in PIM, MDM and other aspects of the software industry. Over the last four years Domo, a new brand in cloud-based data and analytics software, has worked to enable its customers to understand, collaborate and act on data to achieve business results. Led by its founder and CEO, Josh James, the company has worked to deliver software that provides both a good user experience and business value. Recently, at its 2015 customer conference Domopalooza, the company presented itself and its products to the general public. I had a chance to meet with company executives, employees and customers and view its products at this high-energy event and entertainment that I have not seen in years. 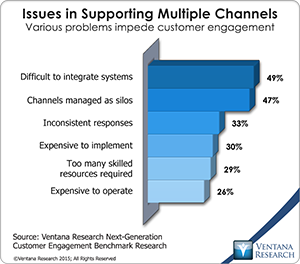 This has been a dramatic year for Informatica, a major provider of data integration software. In August it was acquired and taken private by Permira funds and Canada Pension Plan Investment Board for about US$5.3 billion. This change was accompanied by shifts in its management. CEO Sohaib Abbasi became chairman and now has left, and many executives were replaced while Anil Chakravathy became CEO from being the Chief Product Officer. The new owners appear to have shifted the company’s strategic priorities to emphasize profitability with reduced headcount and return on the purchase investment. Despite these changes, during the past six months Informatica has made key product announcements that will impact its future and the future of data management. The need for businesses to process and analyze data has grown in intensity along with the volumes of data they are amassing. 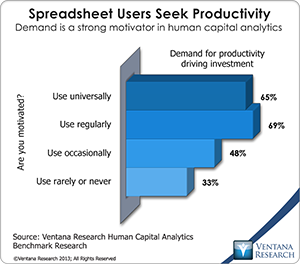 Our benchmark research consistently shows that preparing data is the most widespread impediment to analytic and operational efficiency. 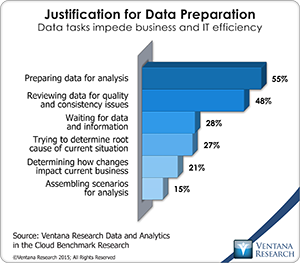 In our recent research on data and analytics in the cloud, more than half (55%) of organizations said that preparing data for analysis is a major impediment, followed by other preparatory tasks: reviewing data for quality and consistency (48%) and waiting for data and information (28%). Organizations that want to apply analytics to make more effective decisions and take prompt actions need to find ways to shorten the work that comes before it. Conventional analytics and business intelligence tools are not designed for data preparation, but new software tools can enable business users independently or in concert with IT to perform the tasks needed.